This past winter, the television show Fargo was filmed in Calgary and I was approached to print some props. This was mostly a lot of unsexy boxes and folders but it was still pretty interesting to be part of the behind the scenes production. I did all my printing on the weekends so I never ran across any actors but it was cool to check out some of the sets and other props. Thank-you to Joel Tobman for this opportunity (he also designed the stencils – I just printed them)! 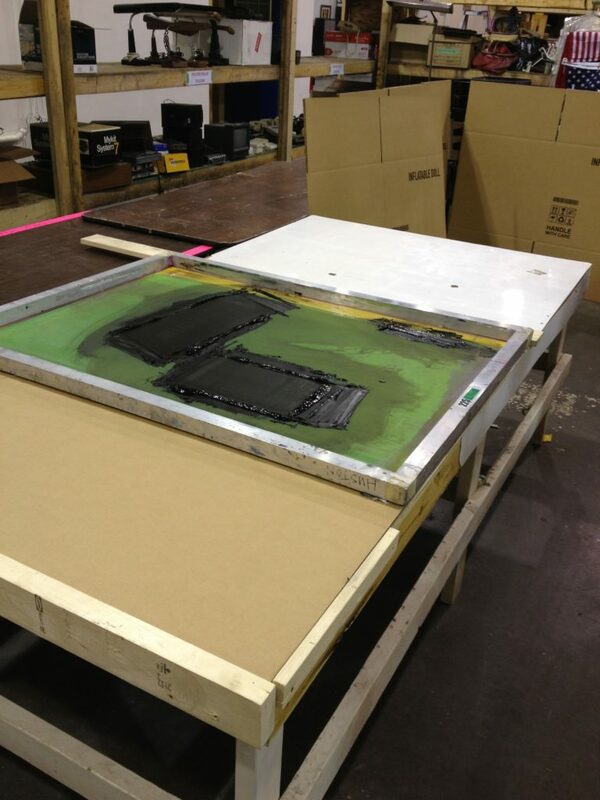 Below are some photos of the printing in progress as well as a screen shot of a box in use. A forest of drying giant boxes. Some ammunition boxes laid out and ready for their onscreen debut. 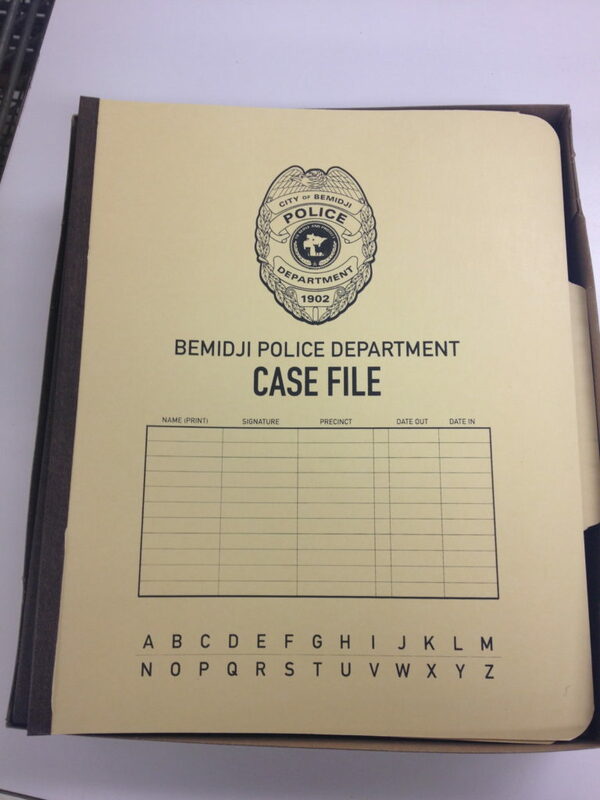 Case files! I had to cut a special template out of foam core so that I could print these. The back has a clip that couldn’t be removed. 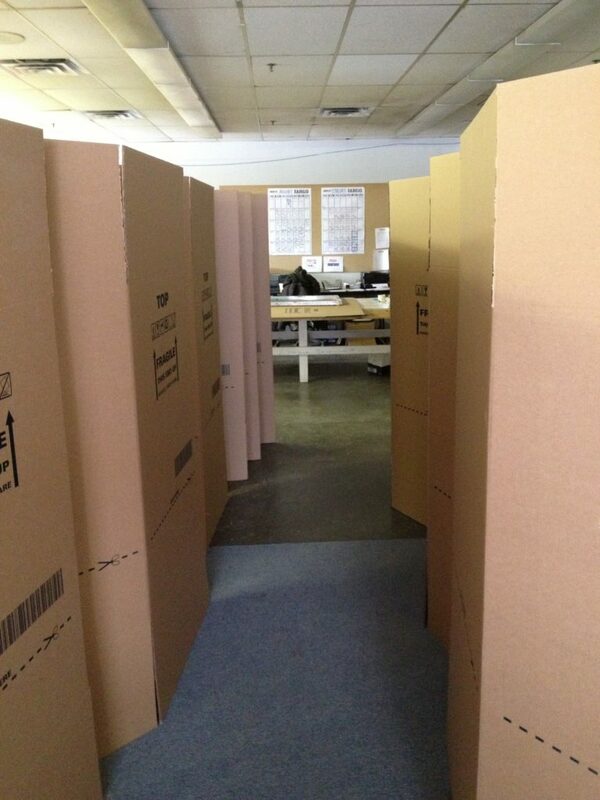 This is what a lot of boxes looks like. 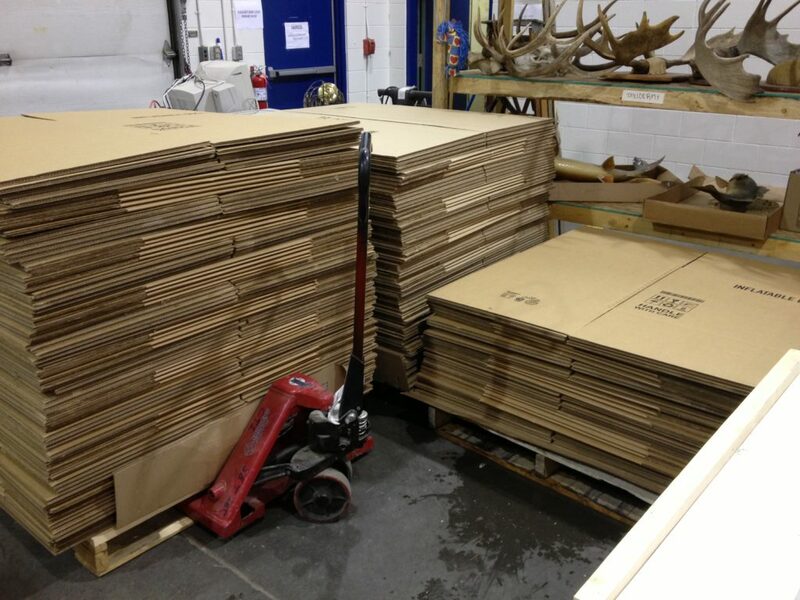 Silkscreening some large boxes (190 to be exact). We built registration guides out of screwed-in two by fours. 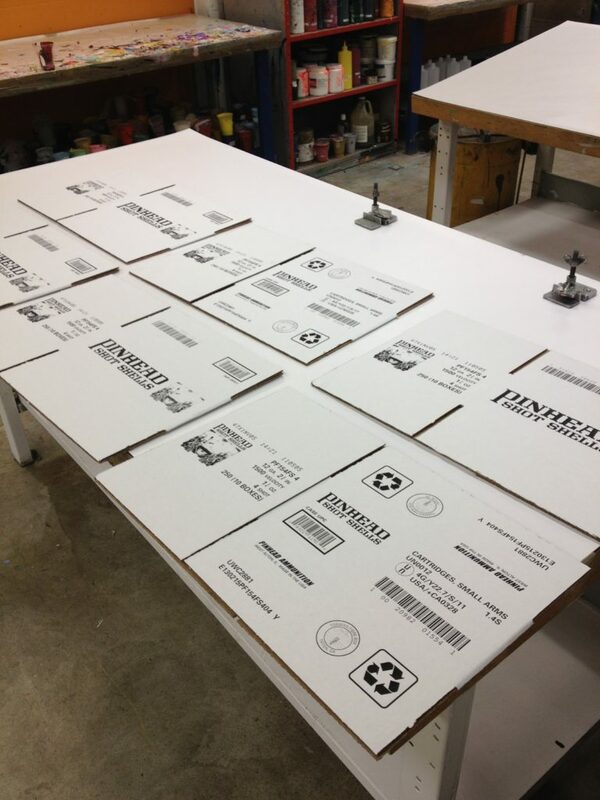 Screen shot of a printed box in action in Fargo.